We are a small, friendly walking club of varying abilities. 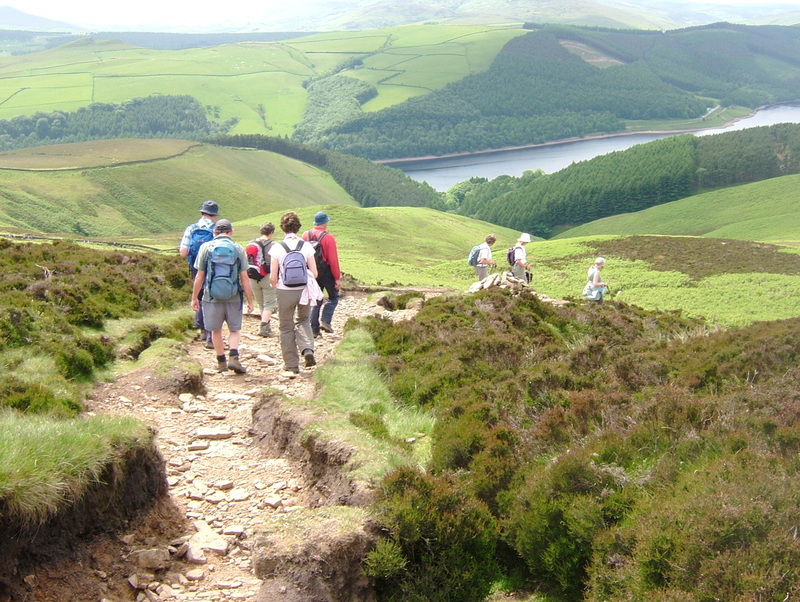 Our programme aims to be inclusive, so walks range from about four miles to twelve, with the occasional longer one thrown in for the more intrepid! - a full day once a fortnight. - a short to medium walk . In the winter, we have a monthly evening meeting, but this is replaced by a walk in the summer. There is usually a pub stop on day walks, but we take a "pack up" as not all pubs serve quick food. As our members are scattered all over Derbyshire and Staffordshire we make our own way to the start point to set off at about 9.45a.m. but often share a lift with people who live near. New members welcome! Click on "Current programme" above to see what we're doing, and contact us if you want to know more.